From our regular rotations on the Nike site, we knew that the swoosh would be dropping a Carhartt WIP X Nike Vandal High today, but what we didn’t expect was that the entire collection dropped in one fell swoop. 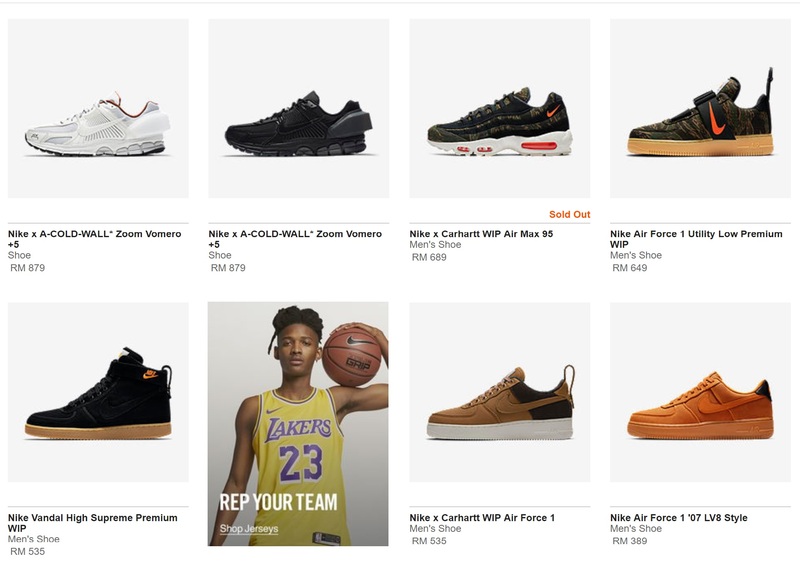 Late last night in the early hours of the morning inside of the Nike Men’s Footwear page revealed all the shoes in its collaborative glory. All 4 models are present and accounted for, the Vandal High, Air Force 1 Low, Air Force 1 Utility Low, and Air Max 95. The Air Max 95 is the highlight of the pack, being one of only two silhouettes to have been clad with tiger camo pattern with orange Air bubble inserts. The Air Force 1 Utility Low also gets donned up in the same pattern and employing ripstop fabric for the upper. 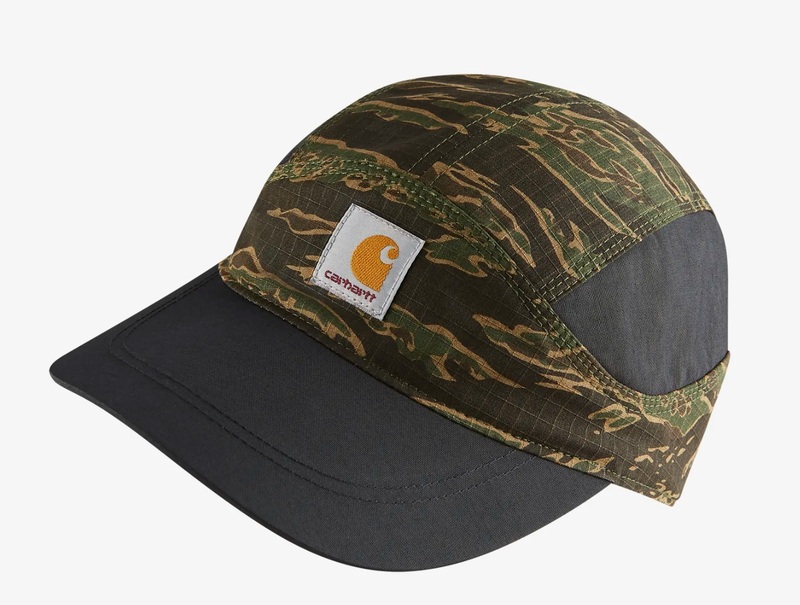 An orange swoosh makes itself present on the strap, and Carhartt’s signature D-Ring is attached to the pull tab. The Air Force 1 Low is probably the most understated of the bunch. Ripstop, wool, and corduroy make up the upper with contrasting back panel in a darker shade of brown rounding up the top. A ‘sail’ midsole adds a bit of timelessness to the shoe. Caps also make an appearance, using the same ripstop material and tiger camo print to make the upper. All in all a very simple, but effective pack. Sizes are running out quick, but you can still cop most of it online. Prices range from RM 535 to RM 689, so it’s still within affordable budget. Still salty you can’t get a collab model? The A COLD WALL* X Nike Zoom Vomero +5 is releasing tomorrow.